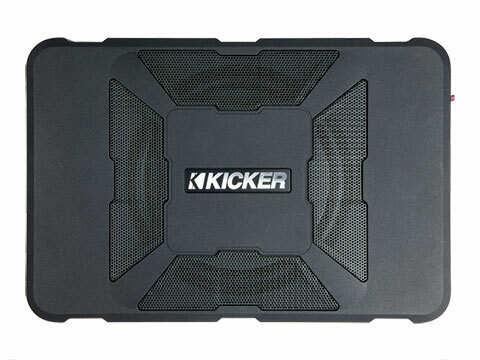 Compact Performer: KICKER’s legendary subwoofer technology continues to lead the way for clear-sounding, ground-pounding bass in a vehicle. 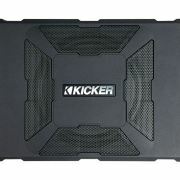 It’s incorporated into KICKER’s latest bass machine, the brand’s first compact powered subwoofer and an International Consumer Electronics Show (CES) Innovations award winner for design and engineering. 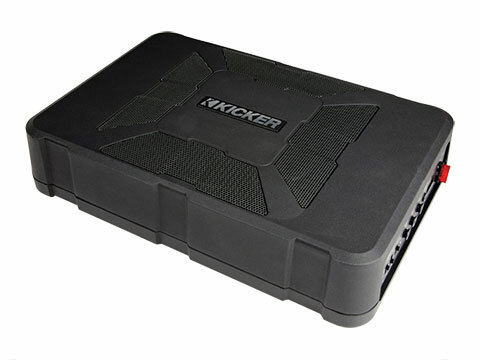 Plug-and-Play Bass: The KICKER Hideaway Compact Powered Subwoofer delivers surprising low frequency output from a remarkably small enclosure, setting a new standard in plug-and-play bass performance and convenience in a vehicle. 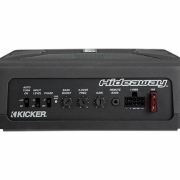 At just over three inches high and nearly 14 inches long, the Hideaway combines a 150-watt amplifier and an 8-inch subwoofer to add thumping bass to any vehicle from the tightest locations. 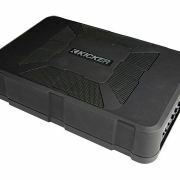 It also provides a quick-connect power plug and Velcro®-fastened nylon straps for secure installation and simple but fast removal. Mr. Irby’s Recipe – FOR BASS! “The output is amazing,” said Irby during listening tests. 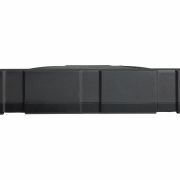 Feature Full: The quick-connect Molex® plug and harness entails power, signal and remote turn-on. 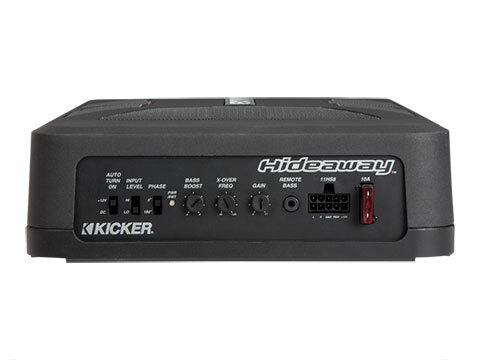 The Hideaway comes with a remote bass control for fine-tuning bass levels, adjustable low-pass crossover, variable +6dB bass boost, phase-cancelling switch for max output and two automatic turn-on options. 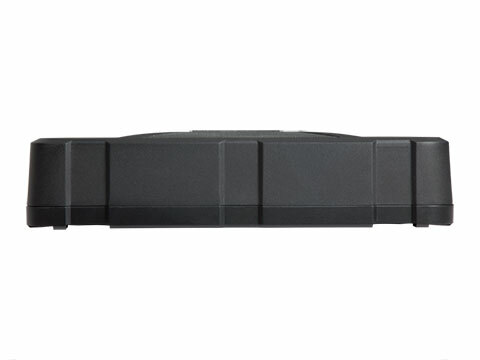 It also features high- and low-level inputs for integration with nearly any factory or aftermarket head unit.